Dimitris Maris is the Founder and Chairman of the Board of Directors of the 24MEDIA Group, Greece's leading and fastest-growing digital publishing group. He has studied architectural engineering in the U.S. and for more than 10 years he has been an entrepreneur and investor in media and new technologies. He is a genuine pursuer of international partnerships in Greece with global players such as Huffington Post, etc. He is an investor in a number of companies such as Change.org, Velocity, Syncbnb, etc. Finally, he currently serves as President of the Greek Online Publishers Association. Nikolas Pefanis is the Chief Executive Officer of 24MEDIA Group. He is a distinguished management executive in the Greek media industry, with 30 years of experience in high-ranking positions at leading organizations in media (DOL, Teletypos), health industry (Mitera), industrial production (Viohalco, Reckitt and Colman) and services (Athens International Airport, Athens 2004 - Organising Committee). Vassilis Papachristodoulou is the Chief Operating Officer of 24MEDIA Group. 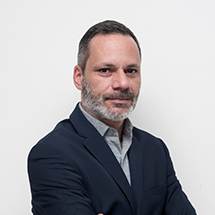 He is a distinguished executive, with many years of experience in the media sector and in business administration, founder of the sports site Contra.gr and consultant on development and strategy issues in large companies (SKAI, IMAKO, PeopleCert). Manos Mihalos is the Director of Content & Products of 24MEDIA Group and member of the 24MEDIA executive management. He is in charge of all media brands and is responsible for content strategy, newsroom operations, product development and marketing strategy. Manos has an extensive experience in digital and print media (Sport24.gr, IMAKO Publishing Group). In addition, he has frequently contributed to sports newspapers, sports radio and other national print media properties likewise Ethnos, as Content Strategist. Deppie Papazoglou is the Commercial Director of 24MEDIA Group. 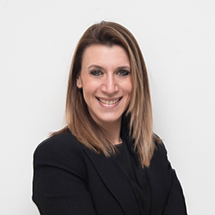 She is an experienced executive in the media market with many years of experience in print and digital media (Kathimerini Publishing SA, The Toc digital media). She holds the overall supervision of the commercial department of all the brands of 24MEDIA group. Anita is the Finance Director of 24MEDIA Group. She has extensive experience in the Banking Sector as well as Healthcare and Mining. Since 2000, she is also a Senior Lecturer in Investment Theory, International Economics, Micro- and Macroeconomics for IESOEL. Anita graduated with a degree (M.Sc.) in Finance from the University of Lancaster. She also holds an MBA from European University and a B.Sc. in Economic Science from the Athens University of Economics and Business. Anita is a certified investment advisor from the Bank of Greece. Loukas Karetzopoulos is the Accounting Manager of 24MEDIA Group. He is a financial executive with broad experience in all aspects of accounting, book keeping, tax law, auditing, financial management and financial consulting. He is member of 24MEDIA management team from 2000. Loukas graduated with a degree (BSc) in Economics from the University of Piraeus. 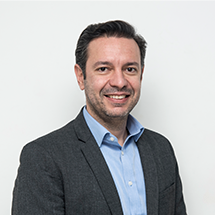 Panos Velachoutakos is the Human Resources Manager of 24MEDIA Group. He is one of the oldest members of the 24MEDIA management team since 2004. In 2009 and as the company grew significantly, he undertook the Human Resources Department. As HR Manager all these years Panos is tactfully dealing with almost all employment issues and gives particular emphasis on maintaining good working conditions for all the employees. Furthermore, equally important issues under his supervision are the payroll, the defined recruitment processes, the training and development of the staff and the CSR of the company. Manos Horianopoulos is the News Editorial Director of 24MEDIA Group. He is responsible to manage all the editorial processes and developments within 24MEDIA newsroom. He has the overall supervision of the editorial teams. He is a member of 24MEDIA team since 2007, when he hold the position of Managing Editor at the news digital site “News 24/7” and during 2017 has served as Director of “Ethnos” newspaper. Manos graduated with a degree (BSc) in Communication and Mass Media from the University of Athens. Dimitris Konstantinidis is the Sports Editorial Director of 24MEDIA Group. He is responsible for the sports content within 24MEDIA newsroom. He is a member of 24MEDIA team since 2013, when he hοld the position of Εditor in Chief at the sports site Sport24.gr. He is a sports journalist, reporter and sportscaster with wide experience in newspapers, radio, TV and news portals since 1984.